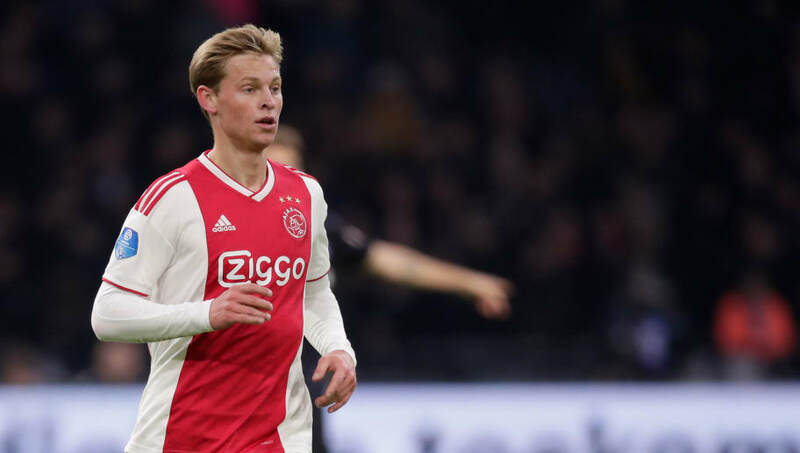 ​Barcelona have announced the official signing of Frenkie de Jong from Ajax, with the midfielder set to join the club this summer in an €86m deal. Barça have been coveting the Dutchman for a while now and this announcement confirms that they have beaten out the considerable competition from Paris Saint-Germain and Manchester City for his signature. In an ​official statement, the ​La Liga leaders revealed: "FC Barcelona and Ajax have reached an agreement for the transfer of midfielder Frenkie de Jong, who will be joining the Catalan club from 1 July 2019. "The cost of the transfer operation is €75m, plus a further €11m in variables. The player will be signing a contract for the next five seasons, through to 2023/24." Describing De Jong as "one of Europe’s most promising midfield talents", they are particularly impressed by his versatility and technique, explaining: "At just 21 years of age, he is joining FC ​Barcelona after proving himself as a polyvalent player with an excellent reading of the game and ability to provide the killer pass." They later continue: "Right footed and strong in the one-on-one, Frenkie de Jong can play either as a defensive or attacking midfielder. His wonderful vision and natural ability to find the right pass mean he is the perfect choice as a central playmaker." Despite his youth, the Netherlands international has already made 65 appearances for Ajax, scoring six times and picking up ten assists. He will join a long list of famous compatriots who have turned out for La Blaugrana, including Johan Cruyff, Ronald Koeman, Patrick Kluivert and Frank de Boer.